This chalkboard wall separates the mudroom from the kitchen, and is directly connected to the pantry (on the right). It's hard to photograph, so I did the best I could! The mudroom holds the dry erase board that I update every week with our calendar of events. It holds several hooks for backpacks and coats, and it holds the kid's artwork and projects that come home on our DIY Kid's Art Display. Basically, it is a kid friendly space and adding this whimsical little tree fits in perfectly. 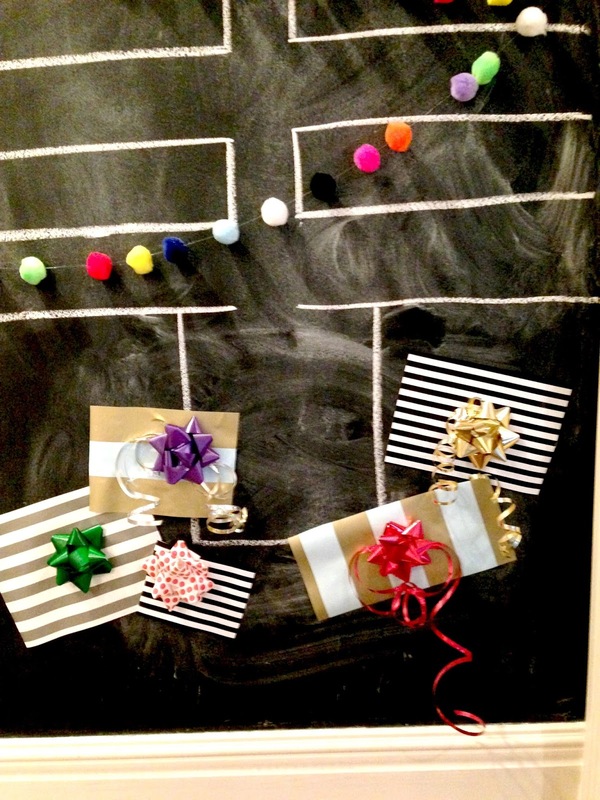 I made some fake presents to put under the tree too! I like the pop of color and the added whimsy it brings. The kids love it as you can imagine! Inspiration for the actual look of the tree came from here! First I want to say Happy Birthday!! 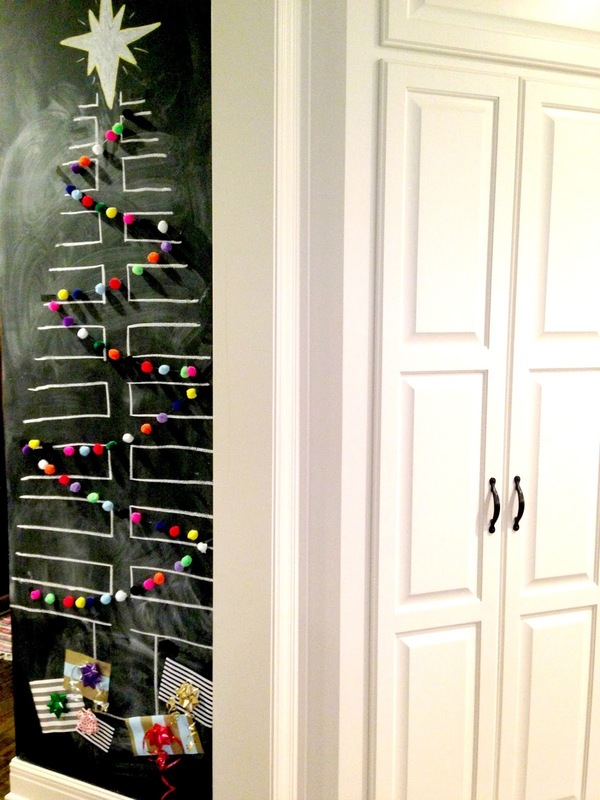 :) Second I love this chalkboard tree, pom garland and fake presents! Seriously too cute! Thanks for sharing on the Monday Funday Party! Pinning this to our group board on Pinterest. Very festive! I bet your kids love this! 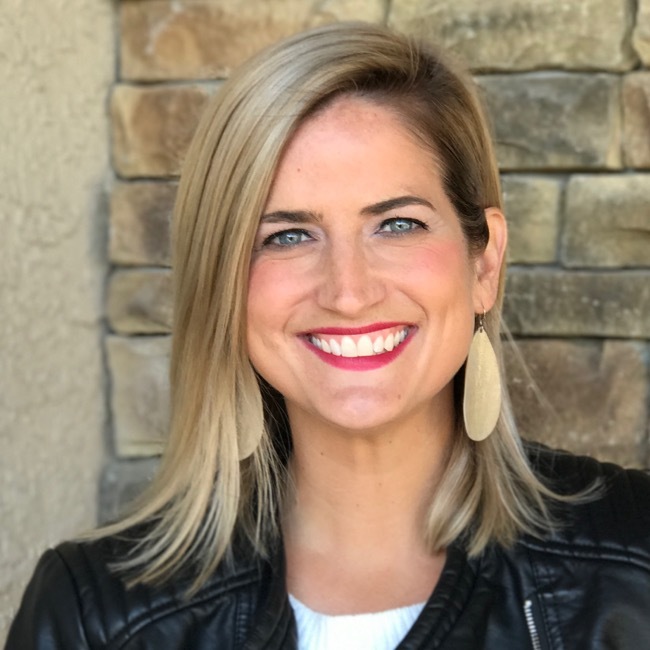 Thanks, Audra, for stopping by! So beautiful and sophisticated! 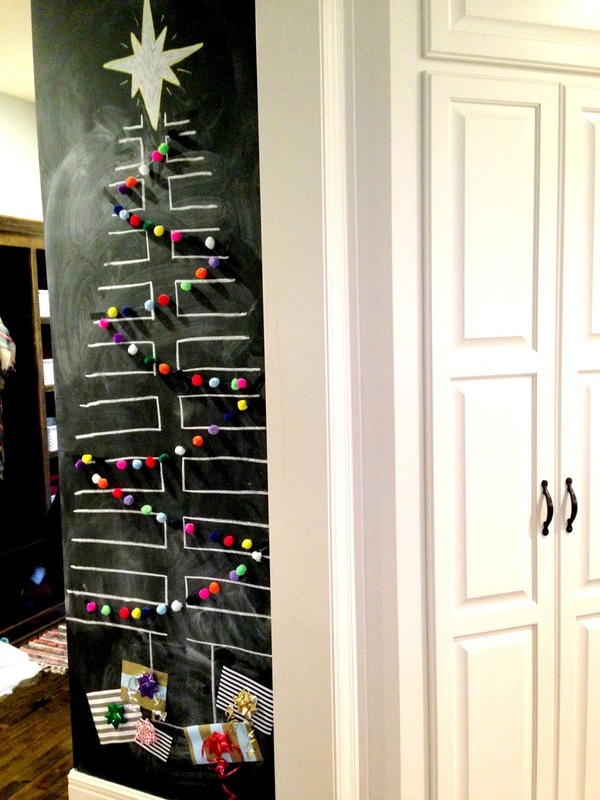 I really want a chalkboard wall now! Thank you Karen! I will never tire of chalkboards! They are so versatile and I love the touch of black it gives a space! Thanks for stopping by! What a cute idea! Love the little pom poms on it as well. Pinning. Thanks for sharing on Merry Monday! This is sooo cute! Love it! Thanks for linking up at Sundays at Home! Very cute! And SO creative!! Thank you for stopping by Jess! !